Pioneers in the industry, we offer myhep lvir, resof l tablet, ledihep tablet, ledviclear tablet, cimivir l tablet and hepcinat lp from India. 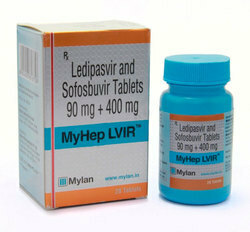 Note :- Myhep LVIR Is A Prescription Drug And Should Be Used Under Proper Medical Guidance And Advice. Do Not Share The Medicine With Others, Since They May Be Suffering From A Problem That Is Not Effectively Treated By This Drug. 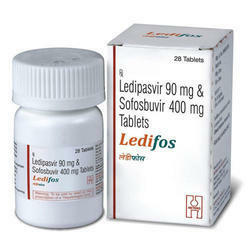 Uses : Treating Chronic Hepatitis C Hirus (HCV) Infection In Certain Patients. 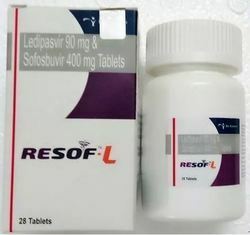 Note :- Resof L Is A Prescription Drug And Should Be Used Under Proper Medical Guidance And Advice. Do Not Share The Medicine With Others, Since They May Be Suffering From A Problem That Is Not Effectively Treated By This Drug. 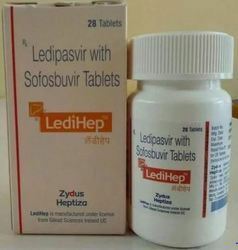 Uses : Treating chronic hepatitis C virus (HCV) infection in certain patients. 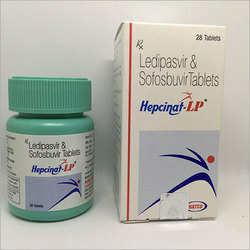 Note: :- Ledihep Is A Prescription Drug And Should Be Used Under Proper Medical Guidance And Advice. Do Not Share The Medicine With Others, Since They May Be Suffering From A Problem That Is Not Effectively Treated By This Drug. 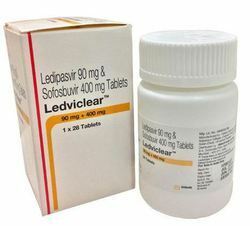 Note :- Ledviclear Is A Prescription Drug And Should Be Used Under Proper Medical Guidance And Advice. The Information Provided Here Is For General Educational Purposes Only And Does Not Constitute Medical Or Pharmaceutical Advice Which Should Be Sought From Qualified Medical And Pharmaceutical Advisers. 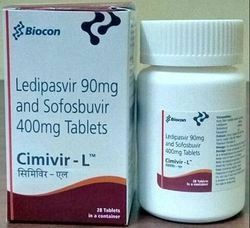 Note :- Cimivir L Is A Prescription Drug And Should Be Used Under Proper Medical Guidance And Advice. Do Not Share The Medicine With Others, Since They May Be Suffering From A Problem That Is Not Effectively Treated By This Drug. Note :- Ledifos Is A Prescription Drug And Should Be Used Under Proper Medical Guidance And Advice. Do Not Share The Medicine With Others, Since They May Be Suffering From A Problem That Is Not Effectively Treated By This Drug. Looking for NEW SOFOSBUVIR 400MG AND LEDIPASVIR 90MG ?